From my previous post, i am quite sure most of you that have gone through it are already familiar with the concept of alkali and acids. You can easily differentiate between an acidic and alkaline environment or food, but if not, let me do a little bit of recap for as many of you that might be needing it. Acids are basically aqueous solutions that have a pH level of less than 7.0 whereas alkalis have a pH level of more than 7.0, water being the neutral component with a pH of 7.0. In simpler terms, acids are sour in taste and corrosive in nature, whereas alkalis are elements that neutralise acids. During the process of digestion, your stomach secretes gastric acids, which help in breaking down food. The stomach has a pH balance which ranges from 2.0 to 3.5, which is highly acidic but necessary for the process of digestion. However, sometimes, due to unhealthy lifestyle and food habits, the acidic level in the body goes haywire, leading to acidity, acid refluxes and other gastric ailment. If you review the daily diet of most urban dwellers, it contains large amounts of acidic foods such as burger, samosa, pizza, rolls, sausages, bacon, kebabs, colas, doughnuts, pastries, etc - which in the long run can hamper the acidic balance in the stomach. These foods when broken down leaves behind residues that are referred to as acid ash, the main cause of your tummy troubles. Ingredients that are acidic in nature when digested by the body are meats, dairy products, eggs, certain whole grains, refined sugars and processed food items. It is important to note that an ingredient's acid or alkaline forming tendency in the body has nothing to do with the actual pH of the food itself. Citrus fruits are acidic in nature, but citric acid actually has an alkalinising effect in our body. Alkaline foods are important so as to bring about a balance. Like all experts and doctors have been saying for years, we should have a balanced meal with a good mix of everything, rather than restraining ourselves to have only a certain category of food items. Alkaline foods therefore help in countering the risks of acidity and acid refluxes, bringing some sort of relief. Most traditional Indian meals contain alkaline food items to create a balanced diet. Now, let us look at some important alkaline foods for your daily consumption. 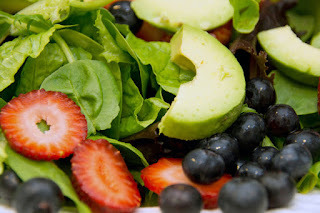 Most green leafy vegetables are said to have an alkaline effect in our system. It is not without reason that our elders and health experts always advise us to include greens in our daily diet. They contain essential minerals which are necessary for the body to carry out various functions. Try including spinach, lettuce, kale, celery, parsley, argula and mustard greens in your meals. If you love sautéed broccoli in Asian spices or gobi matar, they are both good for you. They contain several phytochemicals that are essential for your body. Toss it up with other veggies like capsicum, beans and green peas and you have your health dose right there. Contrary to the belief that citrus fruits are highly acidic and would have an acidic effect on the body, they are the best source of alkaline foods. Lemon, lime and oranges are loaded with Vitamin C and are known to help in detoxifying the system, including providing relief from acidity and heart burn. Did you know that seaweed or sea vegetables have 10-12 times more mineral content than those grown on land? They are also considered to be highly alkaline food sources and are known to bring about various benefits to the body system. You can tip in nori or kelp into your bowl of soup or stir-fries or make sushi at home. Or just sprinkle some sea salt into your salads, soups, omelette, etc. Root vegetables like sweet potato, taro root, lotus root, beets and carrots are great sources of alkali. They taste best when roasted with a little sprinkling of spices and other seasonings. Most often, they are overcooked which makes them lose out all their goodness. Pay attention while cooking and you will fall in love with root veggies as you learn to include them in soups, stir-fries, salads and more. Every nutritionist and health expert will tell you that adding seasonal fruits in your daily diet can prove to be beneficial to your health. They come packed with vitamins, minerals and antioxidants that take care of various functions in the body. They are good alkaline food sources too, especially kiwi, pineapple, persimmon, nectarine, watermelon, grapefruit, apricots and apples. Love to munch on nuts when hunger pangs kick in? Besides being sources of good fats, they also produce an alkaline effect in the body. However, since they are high in calories, it is important to have limited quantities of nuts. Include cashews, chestnuts and almonds in your daily meal plan. Among the most important ingredients in Indian cooking, onion, garlic and ginger are great flavour enhancers too. You can use them in numerous other ways - garlic to spruce up your morning toast, grated ginger in your soup or tea, freshly sliced onions in salads, etc.